Qualcomm, a leading developer and innovator of advanced wireless technologies, products, and services, was established in 1985 and is headquartered in San Diego, CA. 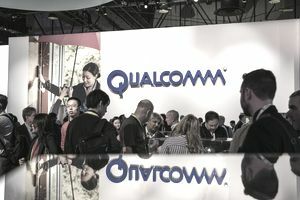 Qualcomm has many facets and divisions, all of which focus their attention on delivering the most innovative wireless solutions to individuals around the world. Each Qualcomm intern works directly with a mentor who will guide them throughout their internship. Mentors are provided to help their mentees quickly learn the culture of the organization and become acquainted with the available resources in order to get individual projects completed on time. By providing mentorship to its interns, Qualcomm provides invaluable resources to help students learn and grow in a career that matches their interest. Qualcomm offers three to nine-month internships for students throughout the school year. These internship experiences provide real-world experience and a chance for students to learn some amazing technology so they can fully utilize the knowledge they gain in the classroom and transport that to a full-time future career. Qualcomm offers over 800 ​internship and co-op experiences for students each year. Each intern receives training in leadership development, supervisory skills, time management and advanced wireless technology through Qualcomm’s live classroom sessions, web-based programs, and computer-based training. Each intern will be able to customize their professional development through the use of online development tools to align their learning to help meet company goals and objectives. Interns are given the opportunity to learn by listening to some of the most knowledgeable and professional people in the business through Qualcomm’s Executive Speaker Series. Qualcomm provides an award-winning learning center which provides students with a place where they can learn about the company and its technologies as well as development solutions for local, regional, and international offices. Qualcomm also provides an extensive library that is filled with educational and technical resources to help interns expand their knowledge and find solutions to the problems they may experience when completing projects for the company. Qualcomm provides students with excellent on-the-job training and educational opportunities that will help them obtain the knowledge and skills it takes for Qualcomm and similar companies to consider them as potential candidates for future job openings in the field. Qualcomm reports that approximately 60% of their interns are hired on as full-time employees after graduating from college. Many internships are located at Qualcomm’s headquarters in San Diego, CA. There are also opportunities available for students in other U.S. and international offices. Interns who relocate will receive fully furnished temporary housing and flights from their university. A personal relocation counselor will also be assigned to the intern prior to their internships. Qualcomm has 150 + locations with offices in Australia, Austria, Belgium, Brazil, Canada, China, Finland, France, Germany, Hong Kong, India, Indonesia, Ireland, Israel, Italy, Japan, Mexico, Netherlands, Philippines, Russia, Saudi Arabia, Singapore, South Africa, South Korea, Spain, Sweden, Taiwan, Thailand, Turkey, UAE, United Kingdom, United States, and Vietnam to name just a few. Applicants must check to see where current Qualcomm internship opportunities exist and how to apply to them. To find internship opportunities and to hear what employees and students have to say about their experience working for Qualcomm, be sure to visit their website. If selected for a phone or in-person interview, Qualcomm highly recommends that applicants fully prepare for the experience to help give themselves an edge over other applicants in this highly competitive job market. For additional information please check out the FAQ's section on Qualcomm's website. When applying for internships be sure to check out The 5 Ways to Improve a Resume and Five Easy Ways to Improve Your Cover Letter prior to submitting your documents.